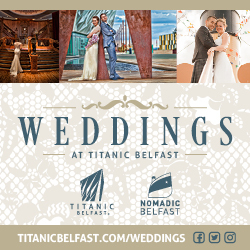 Titanic Belfast and SS Nomadic offer unique venues and experiences for your special day. 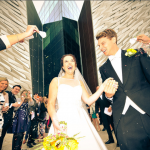 Renowned on the Belfast skyline, the iconic Titanic Belfast building is a spectacular venue for your wedding day. 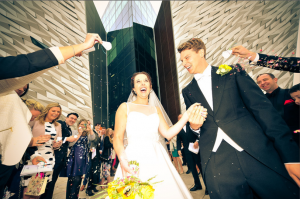 With a dedicated wedding specialist on hand, fully licensed for ceremonies, and hosting only one wedding per day, Titanic Belfast offers every couple a truly personalised experience. 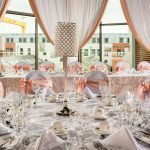 A quirky alternative venue, the beautifully restored SS Nomadic is an impressive location for your wedding day. 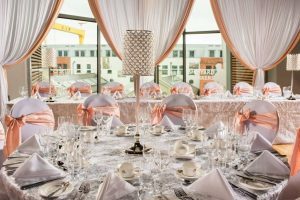 Over four decks, SS Nomadic boasts luxurious décor, original interiors, stunning views of the city skyline and incredible photo opportunities. 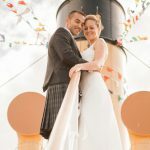 With tailored packages and bespoke menus created from the finest local produce, a wedding on board SS Nomadic is like no other wedding venue and is the perfect location for couples seeking something uniquely different!